Mixing motion picture sound was not Kevin O’Connell’s career goal from an early age. The Long Island native had another burning passion, which, thanks to a parental plea, was short-lived. But you could be forgiven for thinking that mixing was in his blood––given the more than 160 films he has worked on in that classification since the early 1980s. He certainly got off to a great start. His first screen credit (as a sound technician, although he was a recordist) was the second of the original Star Wars sagas, The Empire Strikes Back (1980). Two years later, he was a full-fledged re-recording mixer, and soon amassed such film titles on his resume as Poltergeist (1982), Breathless (1983), Terms of Endearment (1984) and Dune (1984). More recent credits include Transformers (2007), all three Spider-Man movies (2002, 2004, 2007), The Da Vinci Code (2006), Memoirs of a Geisha (2005) and Pearl Harbor (2001). Currently, O’Connell represents the Sound Branch on the Academy of Motion Pictures Arts and Sciences’ Board of Governors. Ironically, he also holds the record for the most Academy Award nominations for Best Sound/Sound Mixing (20)––without a win. 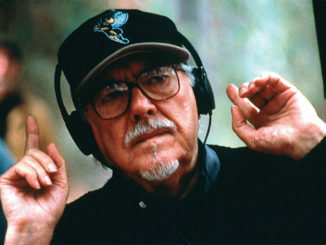 Additionally, O’Connell has been nominated 12 times for Outstanding Achievement in Sound Mixing by the Cinema Audio Society (CAS), and received an Emmy nomination for his work on Lonesome Dove (1989). He won the BAFTA Sound Award from the British Academy of Film and Television Arts for Spider-Man 2, sharing it with fellow mixers Greg P. Russell (his erstwhile longtime partner) and Jeffrey J. Haboush, along with sound editor Paul Ottosson. 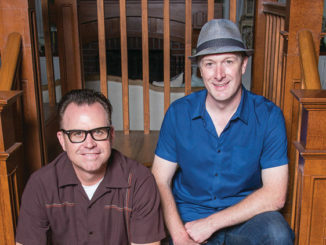 Throughout his work in the field, O’Connell has partnered with other such notable mixers as Bill Varney, Steve Maslow, Gregg Landaker, Rick Kline, Donald O. Mitchell and Beau Borders, to name a few. In fact, Borders is his latest partner on the just-completed Michael Mann film, Public Enemies, which opens nationally July 1 through Universal Pictures. In the final throes of the Public Enemies mix, O’Connell found the time to talk to CineMontage about his work, his influences and how he came around to sound as a career choice. CineMontage: How did you get into sound mixing? Did you have an early interest in sound? Kevin O’Connell: No, not at all. Since I was five years old, I always wanted to be a fireman. So, in 1977, when I was 19, I took the test and managed to get into the LA County Fire Department as a brush firefighter, riding on the camp crew trucks and putting out brushfires. No one works harder than these guys. During this time, my mother, Skippy O’Connell, was the assistant to the head of the sound department at Twentieth-Century Fox. I had been coming down to the studio since I was ten years old, but I never thought twice about sound. That summer, I was on a fire for three days in a row, and I came home covered with cuts and burns all over my body and 17 pounds lighter. My mother started crying and said, “I don’t want you to do this anymore. Please come down to the sound department and check it out.” So, reluctantly, I did. CM: What did you do then? KO’C: To be honest, it looked like the most boring job on the planet––sitting in a dark room all day watching reels of tape going back and forth. I was used to riding around in a fire truck with lights and sirens, running up and down mountains while being chased by brushfires. But I could see that she was so upset, so I said I would give it a try. She got me a job over at the Samuel Goldwyn Studios and I started out as an apprentice. My official title was machine room operator. Every time the mixers got to the end of the reel, it was my job to rewind all of the tracks and reload them again. This happened several times a day. CM: Did you begin to like the work? KO’C: At first, I hated it. I hated being inside; it wasn’t for me. But after a while, I started getting interested in it, looking out on the mixing stage and seeing how the mixers were affecting each sound. I had no idea how complicated creating a soundtrack was. By the second week, I said, “Mom, this is the best job I have ever had. How can I ever thank you?” She said, jokingly, “You work hard and learn how to become a mixer and someday you go win yourself an Oscar––and you can go stand up on that stage and then thank me in front of the whole world.” I agreed, and my firefighting days were over. CM: Speaking of which, you’ve been nominated for an Oscar 20 times, but haven’t won, right? KO’C: I’m sure winning would be great, but I’ve had a great time just being nominated. Every time I get nominated, I get a ticket to one of the coolest parties in the world and every year I meet more and more exciting people. I have no complaints about not winning––although someday it might be nice to take that walk up to the stage. It sounds kind of cliché, but I really do feel honored just to be nominated in the first place. CM: What was your path to learning to become a mixer? KO’C: The machine loader works for the recordist, who runs the machine room for the mixing stage. I thought to myself, “That recordist job looks cool; I’d like to learn that,” so I did. Then, when a position became available, I moved up to the recordist position. The next step up was to become an engineer or a mixer. I had become good friends with the mixers on the stage where I was working, and they always seemed to be having so much fun. So I decided to give mixing a shot. It turned out to be much harder than it looked; these guys were so good, they just made it look easy. CM: What was your first mixing job? KO’C: My first day as a mixer was on Dead Men Don’t Wear Plaid (1982), starring Steve Martin and directed by Carl Reiner. I’m sitting on the main stage at Samuel Goldwyn Studios and I only have 18 tracks of sound effects in front of me but I didn’t know what to do because I was never formally trained. I was working with Bill Varney and Steve Maslow who had just won Oscars for The Empire Strikes Back and Raiders of the Lost Ark (1981), and I have to admit, I did feel a little intimidated. Actually, I was horrified. I said to Bill, “What do I do?” He said, “Just put them all on minus-10 decibels,” and he winked at me. The movie starts out with a thunder and lightning storm with a car skidding and swerving down a muddy road––and all you heard coming out of the speaker was the loudest most distorted sound in the world! It was way too loud. Bill was yelling at me and I couldn’t hear what he was saying. When I looked over at Steve, he just looked shocked. So I leaned over to Bill and he yelled in my ear, “You’re playing everything too loud!” I asked what I should do. He looked at me the way only Bill Varney could look at you and yelled, “Lower it!” I turned it down to minus-20 decibels and it was still too loud. I had no idea what I was doing. The fact that I made it through that show was a miracle. CM: How did things go from there? KO’C: My next movie was Poltergeist with Steven Spielberg. I was as nervous as a guy could be. One day he leaned over and tapped me on the shoulder to give me some direction and from the second he said, “Hey, Kevin,” I didn’t remember a word he said because I was so nervous that he was talking to me! 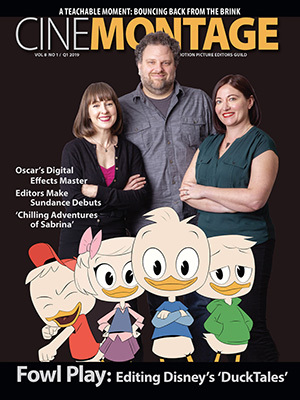 I’ve been very fortunate my entire career to be surrounded by very talented co-workers, mixers and editors alike. If I have achieved any degree of success, I owe it to all of them for their patience, training and understanding. CM: Who were your biggest influences in becoming a mixer? Did you have a mentor? KO’C: I was very close to Bill Varney, Steve Maslow and Gregg Landaker when I was their recordist on The Empire Strikes Back, Ordinary People (1980) and Raiders of the Lost Ark. They were the best guys in town to work for. 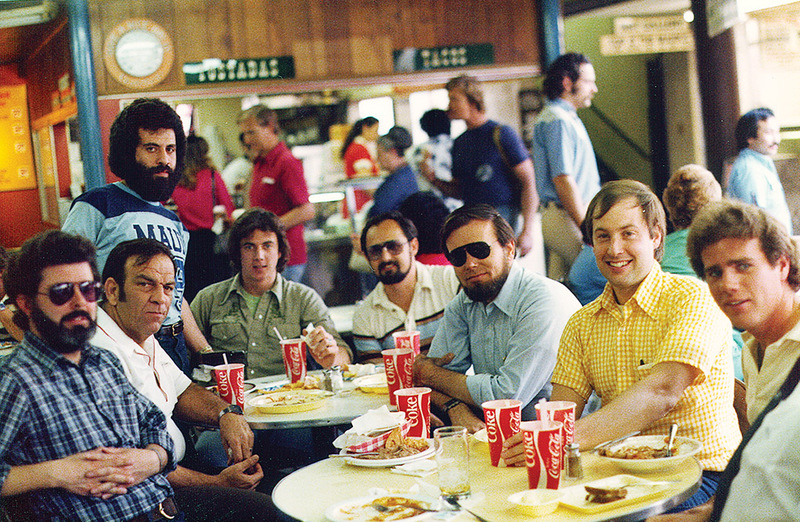 These guys took one of the toughest jobs in town and made it look fun. They were my mentors. Bill spent a lot of time talking to me about how to mix dialogue. 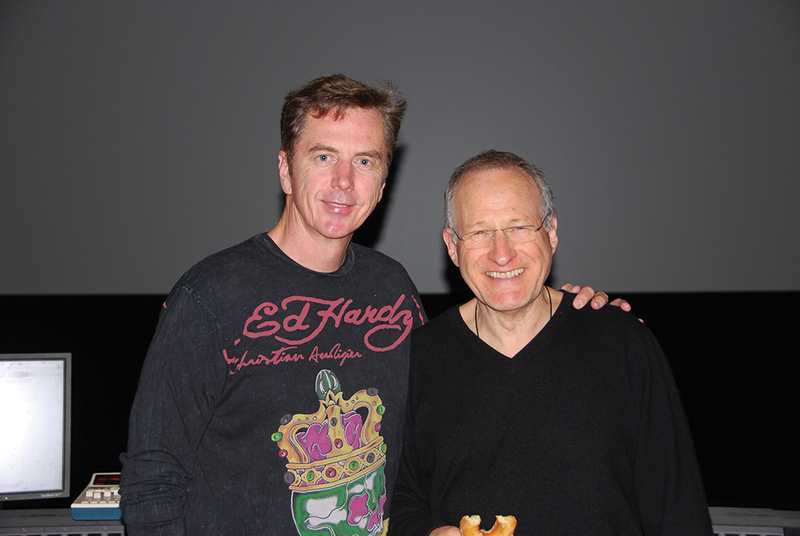 Kevin O’Connell, left, with director Michael Mann. 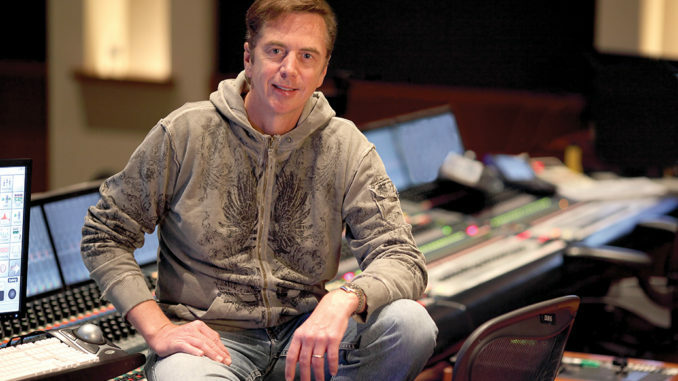 CM: How has the job of a re-recording mixer changed over the years? As sound has improved in the movie theatres, has mixing gained more respect? 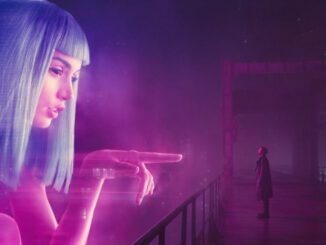 KO’C: I believe that movies are getting more and more complex visually, and the more visually complex they get, the more they have to rely on the sound to sell those visual effects. Take a movie like Transformers, where you have a semi-tractor trailer driving down the road at 90 miles an hour and transforming into a robot. It takes very creative, talented people to make you believe that what you just saw could actually happen. The sound design team for Transformers was incredible. Director Michael Bay relied on them to make you believe his robots were real. It was the sound that brought these creatures to life. I do believe that directors are relying more on sound now than they ever did before. CM: Do you have any advice for young people wanting to become mixers? KO’C: People who want to become mixers should watch a lot of movies. They should also learn how to use ProTools. It’s a system that anyone wanting to learn how to mix or edit needs to master. If you want to be a sound mixer or editor, you can download sound effects and music from the Internet, build your own library of sounds and––if you have ProTools––you can input any movie you want and practice cutting your sounds into sync with the movie. The more you know about ProTools editing and sound mixing, the easier it will be for you to get an apprenticeship in sound. Nothing is more rewarding than watching a movie knowing that every sound at one time was at your fingertips.